QED Silver Anniversary XT review | What Hi-Fi? 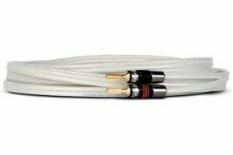 This excellent product has been our budget cable benchmark. Indeed, in 2007 it bagged a What Hi-Fi? Sound and Vision gong for the third year running. Some may say it sounds a tad lean, but as long as you partner it with suitable electronics, you'll be privy to a fantastic sound.